for a touchdown at Chattanooga. Photo courtesy of Furman. Furman returns home Saturday looking to extend its three-game winning streak as the Paladins host VMI at 1 p.m. A victory would put Furman (3-3, 2-1 Southern Conference) above the .500 mark for the first time since Oct. 3, 2015. Furman is coming off an impressive 41-17 win at Chattanooga that snapped a five-game losing streak in the series. 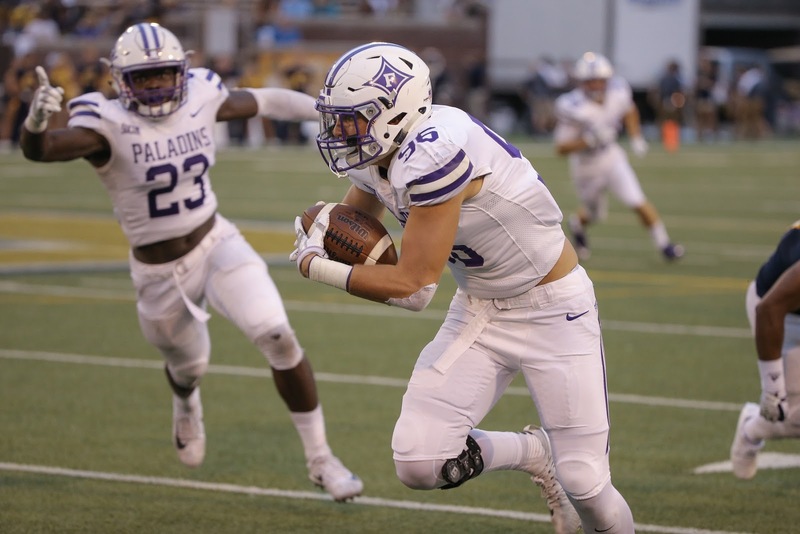 The Paladins piled up 290 rushing yards against a talented Mocs' defensive front in what Furman coach Clay Hendrix called his team's most complete game of the year. "One of the things we've talked about is, if you want to be a championship football team, you've got to go win on the road in some places where you maybe haven't had success," Hendrix said afterwards. "They prepared well and responded well." The Paladins have scored 142 total points over their three-game winning streak and have tallied at least 41 points in each of the three. The last time Furman scored more than 40 points in three consecutive games came in Ingle Martin's senior year of 2005. 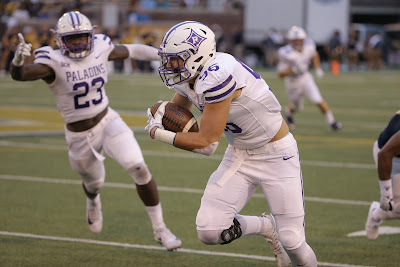 In its struggles the past few seasons, the biggest problem for the Paladins came in running the ball and stopping the run. That's turned around this season. Furman ranks fourth in the SoCon at 214.7 yards rushing per game, and is second in rushing defense (123.5 yards allowed per game). That rushing defense total has dropped significantly during the win streak as Furman has allowed just 95 total yards on the ground over the last three weeks. After giving up 22 yards rushing to ETSU two weeks ago, the Paladins allowed just seven last Saturday at Chattanooga. "We'll always take that," Hendrix said. Running the ball effectively has opened up big play opportunities in the passing game and P.J. Blazejowski has taken full advantage. He's thrown a touchdown of at least 57 yards in four consecutive games. The senior captain has helped Furman produce a well-balanced offense as the Paladins average 210.2 yards passing per game, which also ranks fourth in the SoCon. That passing attack hasn't tapered off the last three weeks despite playing without injured leading receiver Thomas Gordon, who could return Saturday vs. VMI. As has been the case throughout Furman's team this year, others have stepped up in Gordon's absence. Most notably has been senior Logan McCarter, who has caught 18 passes for 403 touchdowns and three touchdowns. McCarter has come through up at a big time personally for the Sevierville, Tenn. native as well. "To beat ETSU and Chattanooga back-to-back weeks is a really good feeling," McCarter said. "I had family that went to ETSU so that was personal, and (Chattanooga) was personal because we (seniors) had never beat them. "I think this was a statement game to show the rest of the SoCon that we're not the Furman of old." VMI (0-6, 0-3) enters Saturday having struggled all season. The Keydets rank last in the SoCon in scoring offense (8 points per game), scoring defense (41.7), total offense (211.2 yards per game) and total defense (463.7). However, VMI is coming off possibly its best showing in a 26-7 loss to Samford last Saturday. The Keydets limited the Bulldogs' high-powered offense to two first-half touchdowns and none in the second half. While VMI is just 3-22 in the SoCon since rejoining the league prior to the 2014 season, it hasn't been a pushover for Furman. The Keydets beat the Paladins 31-15 in 2014, while Furman won the last two meetings, 24-21 and 24-10. • Saturday's game is Military Appreciation Day at Paladin Stadium. All active military personnel and veterans can receive two complimentary tickets and purchase additional tickets for the reduced rate of $10 per ticket at the gate. 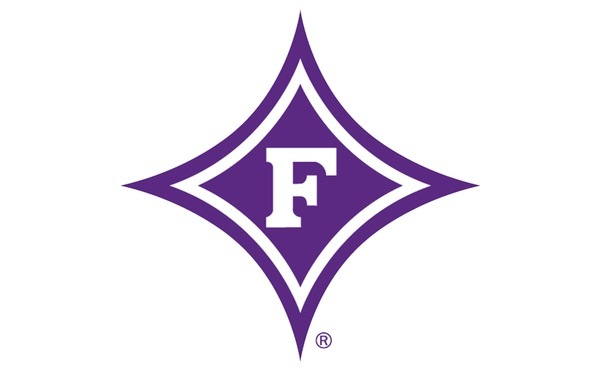 • Furman will honor its 2017 Athletics Hall of Fame class also Saturday. 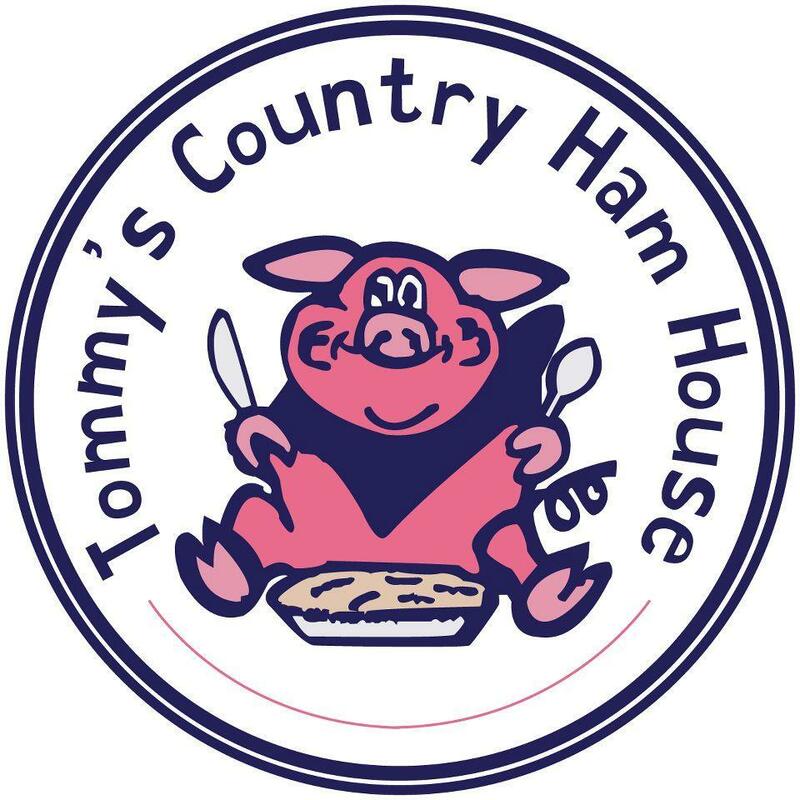 This year's class includes All-American football cornerback William Middleton, basketball forward Chuck Vincent, tennis player Monica Arguello, and men's golfer Ken Ezell.